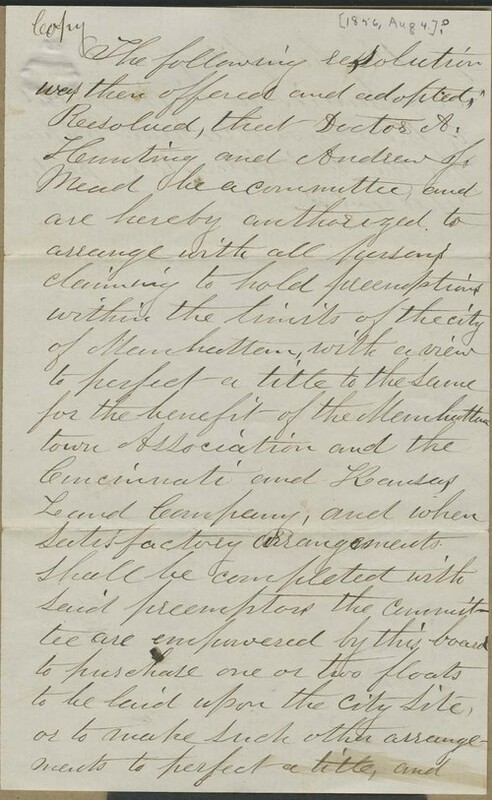 Isaac Goodnow wrote from Rhode Island, as he was traveling on the East Coast, to his wife in Kansas Territory, reporting on his efforts to fundraise for the creation of a college in the Territory. Goodnow thought he should "be able to put the college, through right, by staying East long enough." He made mention of contribution amounts he had garnered already, and was sending the cash home.